Quandong is native of Australia. Its fruits, which are edible and have a very unique flavour, have been used by the native Australians since ages. Now the fruit is being used commercially to flavour other fruit products like jams. Therefore it is gaining importance. 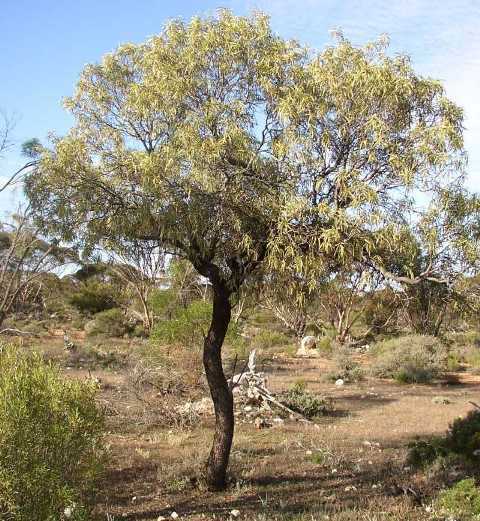 A programme for the domestication of quandong has therefore been started in that country. 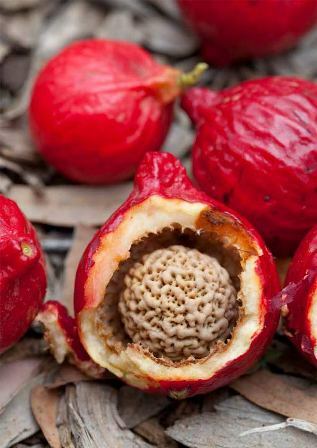 A very interesting feature of quandong plant is that it is semi-parasitic. Its roots can get connected to the roots of other plants and can draw nutrients from those. A tall shrub, or small tree, 4 to 6 m high and 2–4 m (7–12 ft) wide with ascending branches; bark rough, dark grey. The rough bark is dark grey and the branches ascending in character. 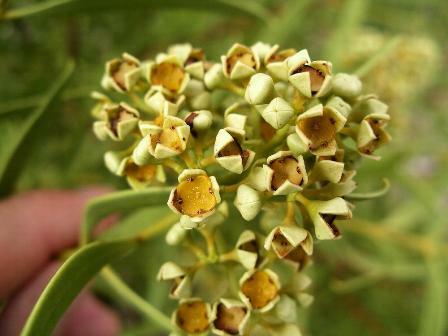 Flowers green or white on the outer parts, reddish or brown on inner faces, borne on stem, fragrant. Fruit mostly shining red but sometimes also yellow, waxy, 20-40 mm across, a drupe with about 3-4 mm thick layer of flesh. 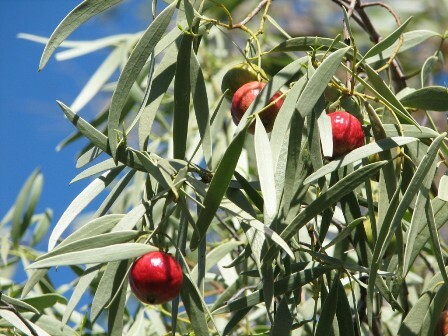 The fruits of quandong are used as additive to other fruit products, particularly jams. Quandong pulp imparts a unique exotic flavour these products. Fruits are marketed both fresh as well as dried. The kernel is also edible and is eaten as raw as well as after roasting and adding salt. The wood is oily. So it is also used for making fire. The kernels also contain oil in high proportion. So these are also used for lighting like candle nuts. Though attempts are being made in Australia for the domestication of quandong, it does not seem to be easy. The seeds take months to germinate and even then the germination is not more than 30-35 per cent. The trees do not perform very well without the presence of hosts. So quandong as an orchard fruit is not easy. The trees, if established, start bearing after four years. A single quandong tree can yield 10 – 25 kg of fresh fruit, 40% of the total weight of which is kernel only.